According to previous reports, Qualcomm is currently hard at work tweaking and optimizing its its upcoming chipset, the Snapdragon 820. The last time we've heard about the chip and its multiple prototypes, a rumor suggested that Qualcomm will push out a new revision of the Snapdragon 820 called V3.x, with samples expected to start shipping in October. Earlier today, a new exhaustive benchmark result leak comparing the processing power of the latest Snapdragon 820 revision against an earlier prototype surfaced online in China. As an added bonus, the leak also shows how the current-gen Snapdragon 810 compares to the Snapdragon 820 prototypes in a number of processing-related tasks. In the chart below, the Snapdragon 810 results are colored green, an early Snapdragon 820 prototype (named here 820-A) is colored orange, while an alleged current revision of the Snapdragon 820 (named here 820-B) is colored red. You can see that the latest Snapdragon 820 prototype scores significantly better across the board compared to the earlier prototype. In the AnTuTu benchmark, the 820-B is said to cross 70K points, which correlates strongly with a previous leak that claimed to reveal the performance of a Snapdragon 820-powered prototype of the Samsung Galaxy S7. At this point, we can't be sure if this Snapdragon 820-B version is the same as the rumored 3.x revision, but this appears to be the case based on the performance improvements. What do you guys think? Will Qualcomm be able to wash away the bitter taste left by the Snapdragon 810 and its poor thermal performance? We'll Just Have To Wait And See Want We My Friend. Exactly. From the record, Snapdragon has never performed any better than Exynos because Exynos is pure Samsung tech which we can say it has the world's most advanced manufacturing process. And guess what, the upcoming snapdragon 820 will be made by Samsung's amazing 14nm die shrink. In conclusion, Samsung is God of technology. Exynos is Samsung manufacturing technology, but it is pure ARM design. Samsung has never designed their own processors. Anyone could fab the exact same processor so long as they have an ARM license. Pure ARM designs are well known strong performers, both their CPUs and GPUs. But they're power hungry. The Exynos M1 (Mongoose) has its own custom CPU design, the GPU is still Mali tho. The exynos in s5 wasn't better than snapdragon 801, equipped models. And wasn't any worse either. and ran cooler :) 801 was a pressure cooker... Just my experience on the LG G3 and Sony Z3.. This is a proof that samsung fanboys are much more worse and sometimes far more stupid than apple fanboys. Because despite what these fools say it is not true, they keep support and defend him. Well if what we're hearing from samsung is true the 820 will have similar heat problems to the 810... apparently they're trying to patch it with software and if all else fails they will add heat pipes. Efficiency is more important than raw rerformance at this time. Scoring 80K in Antutu means nothing if the sustained performance and efficiency is bad. Yes, Yes It Is. But I Love A Great Gpu To. Forget about efficiency, power is the utmost needed. A 4000mah high drain imr battery is needed. Ask every OEMS to start using them, instead of Quallcom. Its these idiots not using the tech which is available, but they rather rinse more money from us. I'd take power than BS useless slow efficiency. Well snapdragon 810 & 808 managed to have weaker raw performance than exynos and still bad sustained performance (and worse battery life). Hope they manage well with 820 or be doomed. 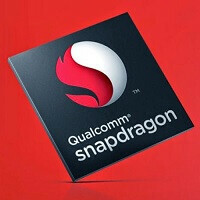 Snapdragon were always behind Exynos, ... Even there custom made SOCs failed. Even Apples A9 still lags behind. Don't tell me about single core, because Apples ios runs on single core which is good for that, but Androids dual core Exynos slaughters it. No they weren't, snapdragon 801 were better than the exynos in s5, the snapdragon s4 pro in nexus 4 and alike was much better than note 2 in its time. Exynos 5422 isn't worse than SD801 and s4 pro lags in games more than Exynos 4412, the benchmark scores couldn't help Qualcomm to outperform old Mali 400 in 2012. For proofs watch on youtube Nexus 4 vs Meizu MX2. 808 is the best CPU in the world? LOL stop it. A8/A9/Exynos 7420 slaps the 808 and 810 silly. No one takes you seriously. Just stop. Snapdragon 820: The Best Ever. The only chart I'm interested in seeing is the one with thermal results. Obviously 820 is going to improve performance, but if it can't improve efficiency, then it really doesn't matter because we'll have another SoC that melts phones. Sony uses a second layer not for the heat to escape. Using high grade 430 stainless steel, or aircraft aluminium or carbon fibre will help dramatically. Well these idiots won't, due to costs. I don't mind paying extra.. I don't care how fast it is. It can be as fast as 810 or even slower. As long as it doesn't heat up and is power efficient it will be an improvment. Just use a cover and stop complaining. Looks like your just a basic user, who doesn't multitask extremely. And by the way, the CPU is on the top left corner, which only heard up by a 3 square inch, the rest of the parts are cool. So why does it matter? Fuuny thing is, you can sustain hot weather, but can't on a phone, ... Lmao. Because the leakage in SD808/810 results in very bad battery life. Which is by far the biggest concern today. Sometimes it's nice to just use your phone without having to worry about the battery in a long day. SD820 will be particular important for all the android customers around given that it will be the major competitor to Apple's dominance. In this respect, sammy is the one that can compete with apple. And w.r.t. S7, the one they will choose will be the best from SD820 or Exynos. So... the benchmarks don't really matter. The final product will matter. Nonetheless, if SD achieves what they are trying to show, it will be a hell of a phone. And given past Sammy history, I don't see how the S7 will be anything inferior to Apple.